So if you are like myself, an innocent to the delights of all those books with wonderful names and the man everyone in India celebrates, but have not taken the time off your busy urban life to drift back to the days when India’s roads were canopied with trees and cars were more an exception than the rule, this could be your place to start. For me there is no better way to turn myself on to a book than get to know it’s author. I’ve always been to a greater degree a reader of non-fiction and need to know where the author hails from and what makes him unique. And Ruskin Bond’s story is unique indeed. Born in Kasauli, in 1934 Ruskin Bond has spent most of his life in the mountainous ranges of India. Self described jetsam of the Raj, he stayed in India after most of his compatriots left after independence. Unlike many others, despite being of British origin, he ultimately came to conclusion that he was “as Indian as the dust of the plains or the grass of the mountain meadow”, although it did take a healthy identity crisis to sort this out as he describes in the book. Was he an Indian or an Anglo-Indian or an English boy born in India? Bond started his writing career at a young age by keeping journals that would eventually form the basis of his first novel Room on the Roof published in 1956 and went on to win the John Llewellyn Rhys Memorial Prize. 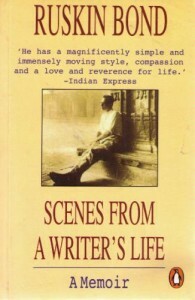 The book was written during his time in London while he was experiencing strong feelings of longing and homesickness for his familiar surrounding and friends in India and is based largely on real life characters and incidents from his journals. This makes his early efforts unique, the works of an adolescent living and growing up in India during the colonial and post colonial era. Bond writes candidly and honestly about growing up with a father serving in the RAF intelligence wing and the subsequent loss of his passing, his crushes with girls, the good and bad times with his friends and all that makes for good autobiographical writing. He also tells about the books he read and the films he watched giving a glimpse to what affected his own story telling apart from his own vivid imagination. Bond’s mother eventually divorced his father and married a Punjabi merchant with whom she lived over and above their financial capacity plunging Bond into a category he terms as the poor whites of the India of his time. This I feel is somewhat unexplored territory – the domiciled Europeans in India who fell outside the pail of more affluent society and scraped a living in conditions similar to the lower classes of India. Not everyone sat drinking gin & tonics in exclusive clubs for the elite. The fact that Bond started writing at such a point in time when being a freelancer spelled almost certain economical disaster demonstrates his calling as a writer. One full chapter is culled as they are from Bond’s journals that he kept during the course of 1951, and as such the chapter forms a bridge to his first novel which I have already lined up on my shelf to read next. The historical value of these books has been already vindicated by time and I guess it would be a great cultural disservice to oneself not to give them a try, forget modern urban life in India and plunge back to times more serene. 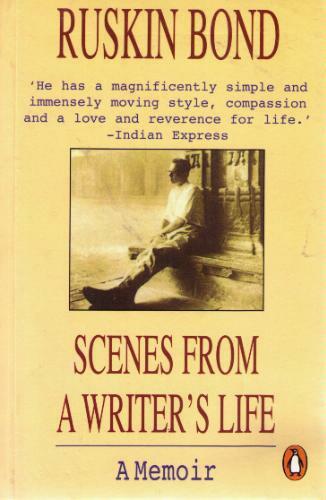 I warmly recommend you take this journey also, starting with Scenes From A Writers Life. You can buy this book and others on the Amazon powered store by clicking here.